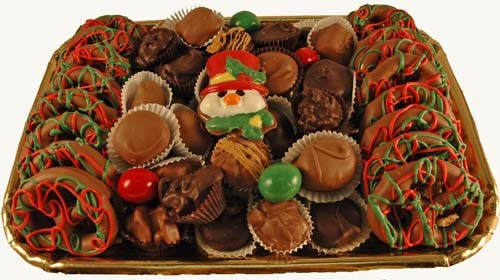 A beautiful holiday tray filled with all of Dorothy's chocolates. This beautiful holiday tray filled with Christmas favorites. Dorothy's Holiday Trays make the perfect hostess gift - beautiful, delicious and affordable. Christmas memories start here.